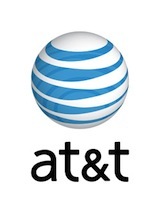 AT & T Mobility LLC is a subsidiary of AT &T incorporation. The company offers wireless services to millions of users. With its headquarters in Atlanta, Georgia, the company operates in many areas. It offers wireless broadband services and mobile telephony services. Rollover Minutes is one of the popular services offered by the company and it also introduced video share services in the year 2007, which enabled live streaming of mobile videos from one mobile to another with the help of 3G network. By the year 2009, the company claimed to employ about 40,000 workers. This company is the second-largest providers of wireless services. There are currently 0 consumer reviews about At&T Mobility Llc available. Share your review. Please take a note that you are about to post a public review about At&T Mobility Llc corporate office on CorporateOffice.com. This review will be public, so please do not post any of your personal information on this website. If you would like to contact the corporate offices of At&T Mobility Llc, please use their contact information such as their phone number, website, and address listed above to contact them. However, sometimes staff from At&T Mobility Llc headquarters do read the reviews on this website.